Non Competitive play leads to more Physical Activity but is it less enjoyable? Here is an interesting article that raises questions about the organisation of PE and physical activity for children. The research shows that children who were involved in non competitive games were more active than children who were involved in competitive games. However as you dig deeper you discover that the competitive games were all elimination games e.g. when you lose, or are caught or make a mistake you are out of the game (ie not being active) as opposed to the non competitive games where there was no elimination. I wonder what the results would have shown if the competitive games had been non elimination games? What was also interesting is that the children were surveyed for self-efficacy, enjoyment, and peer victimisation following both types of games. Results showed that enjoyment was higher following competitive games, although enjoyment scores were high in non-elimination games as well. There were no reports of peer victimisation in either set of games, but were significant increases in self-efficacy after both sets. The key messages for me are that competition is important for enjoyment, if handled correctly, however we need to promote non elimination games to ensure the highest levels of activity as well. I have expressed my views on competition before in a previous post. The study also highlights the positive benefits from activity within the childrens affective domain and the positive benefits to mental health. 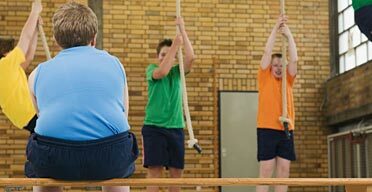 There is also a link within the article to another interesting article ACADEMIC ACHIEVEMENT HIGHER AMONG MOST ACTIVE KIDS Vigorous Physical Activity Linked to Better Grades The research shows that examination of activity and physical education (PE) compared to academic achievement shows the most active kids more often have better grades. This begs the question if PE and physical activity (don’t get me started on the difference between them) can have such positive and wide ranging benefits and in light of our appalling obesity and health record in Scotland why are we still having to fight so hard to justify it having a significant time allocation in the curricula of many learning establishments! · International Dance Day discount!